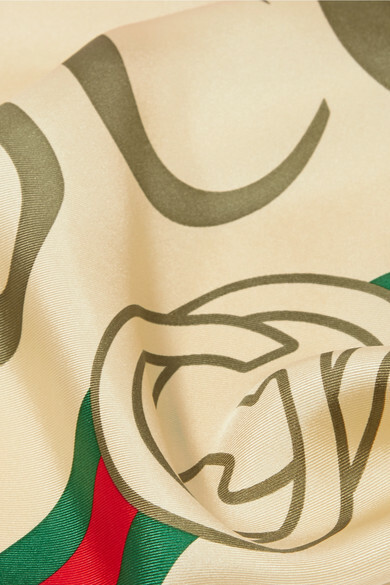 Gucci's scarf is cut from lustrous silk-twill that has a languid drape. Finished with neatly rolled edges, it's printed with the label's signature lettering centered by a thick border. Wear it knotted around your neck or tied to the handle of a favorite handbag. 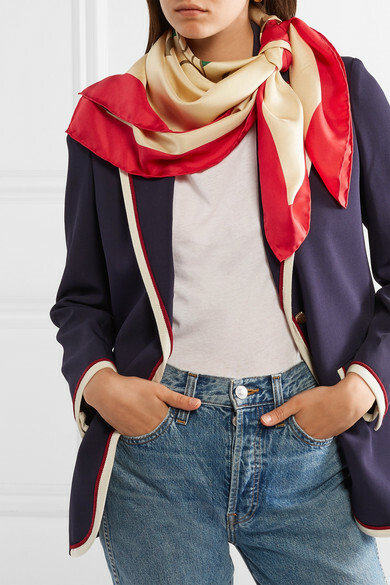 Shown here with: GRLFRND Jeans, Gucci Blazer, The Row T-shirt.